What can toby do for you? Toby has been with Gray, Hong, Nojima & Associates, Inc. (GHN) since 2006. 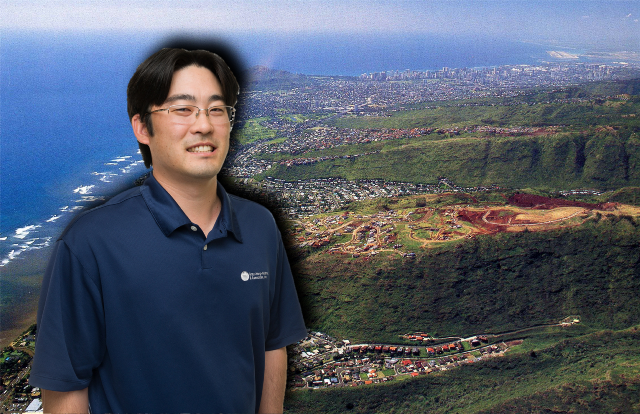 His engineering experience includes various private, county, state, and federal projects in Hawaii. Toby is currently involved in several major infrastructure improvement projects, conducting analysis and producing engineer reports/studies. He is also responsible for coordination with project architects, surveyors, landscape architects. Toby received his BS in civil engineering from the Loyola Marymount University (2005) and MS degree from the University of California at Los Angeles (2006). He is a licensed civil engineer in the state of Hawaii (2011) and LEED Accredited Professional (2009). Toby has also completed the Pipeline/Manhole Assessment Certification Program and the Cured in Place Pipe (CIPP) Inspector Training Certification Program by the National Association of Sewer Service Companies (NASSCO).